For their dedication and commitment to research, and shaping futures in the country and on the continent, two Unisa professors scooped top honours at the 2013 Department of Science and Technology’s (DST) Women in Science Awards. As the first black South African woman to obtain a PhD in Commercial Law at a previously white academic institution, Prof Mpfariseni Budeli won the Distinguished Young Women in the Social Sciences and Humanities award; and for her research which helps educators understand the links between the emotional consequences of sexual victimisation and school functioning, Prof Nareadi Phasha was winner of the Distinguished Researcher: Violence against women award. Unisa Principal and Vice-Chancellor, Prof Mandla Makhanya, congratulated professors Budeli and Pasha, and said their national achievements speak not only to the quality of researchers at Unisa, but also to the calibre of research being produced at the university. 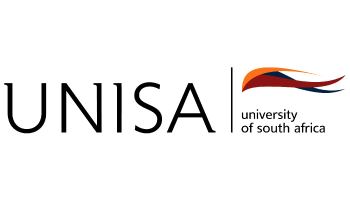 “This announcement is most exciting and impressive, especially in the year which Unisa celebrates 140 years of shaping futures in Africa and further afield … The entire university community is extremely proud of them. We commend them, we honour them, and we congratulate them most sincerely.The announcement was made on 16 August by the Minister of Science and Technology, Derek Hanekom, at a gala dinner attended by prominent stakeholders in the science and research community. The awards, initiated by the department in 2003, honour women scientists and researchers for their outstanding work in the fields of science, engineering and technology, as well as the social sciences and humanities. This year, the department, in line with the UN’s focus on violence against women and girls, introduced a special once-off category that celebrates women whose research and innovation will help to eliminate violence against women.